Continuing our on-going work with The North Face, we worked with the outdoor apparel and accessories brand on their global retail definition strategy. Our first task was to use this new retail strategy to redesign their Milan flagship store. As part of our work with the brand on their global retail definition strategy, The North Face tasked Green Room with bringing this vision to life through creative retail design in their Milan flagship. The Milan store was to be the first store to benefit from the refreshed look and feel, and needed to celebrate the brand mission of “Never Stop Exploring”. Green Room’s key objective was to use retail and consumer insight to deliver an engaging, interactive and unique retail concept driven by experience, ensuring that each customer leaves the store empowered to “Never Stop Exploring”. Forming partnerships with retail platforms that have already harnessed the people power of online communities is increasingly important. Cultivating a presence on the social scene is essential to remaining visible to shoppers, while the data that underpins these social exchanges is invaluable in targeting the most relevant consumers. The new generation of The North Face stores need to become a ‘base camp’ for weekend warriors and hard-core explorers to plan their next outdoors adventure. To do this, we wanted the Milan store to act deliver much more than an engaging look and feel. 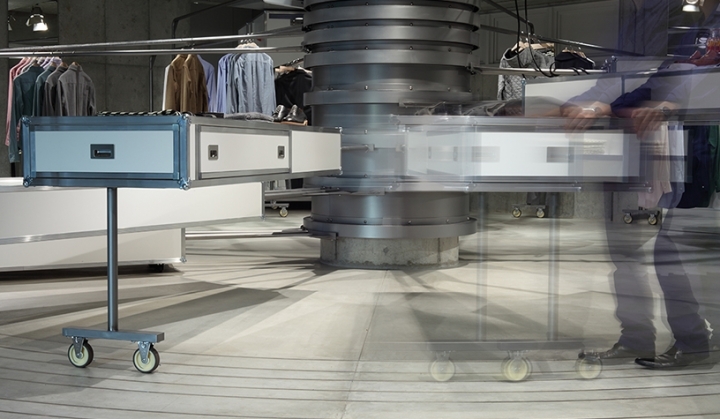 By focusing on community, engagement, and digital integration, the new store concept in Milan encourages shoppers to delve deeper into the TNF brand, the explorer community, and the news Spring Summer 2014 collections. 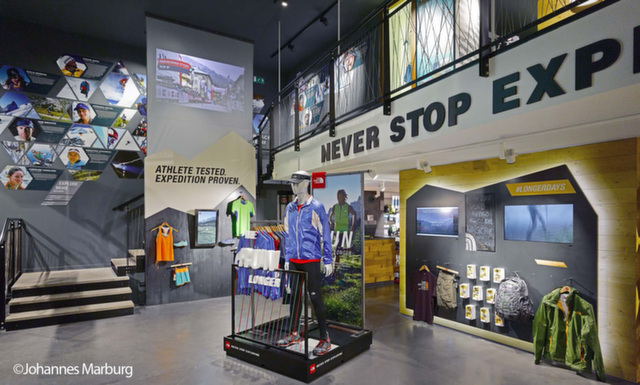 By humanising the TNF athletes, creating community boards, integrating localised design and through hero product placement, the new strategy encourages The North Face customers to use retail as a community hub where they can engage with like-minded explorers. 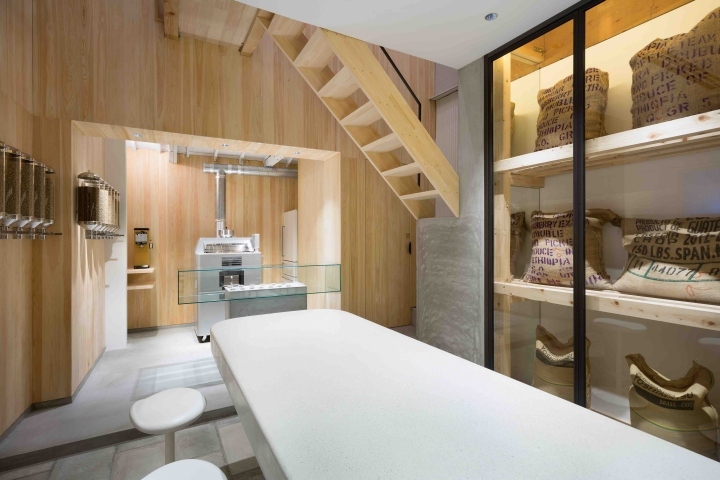 Equally though, we wanted to create an engaging and inviting retail space that performed commercially and encouraged shoppers to navigate around the store, browse products, and make an informed purchasing choice. 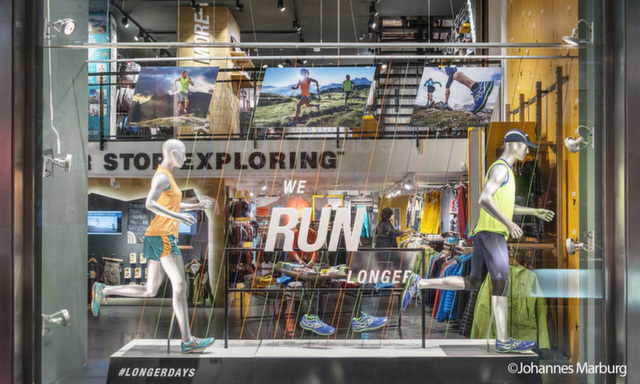 We used in-store zoning principals, striking shop windows, category focal points, and interactive elements to deliver a retail strategy that has transformed The North Face’s Milan flagship. Wayfinding techniques were employed to guide shoppers around the space, including a striking rope installation on the stairwell to encourage customers to head upstairs. 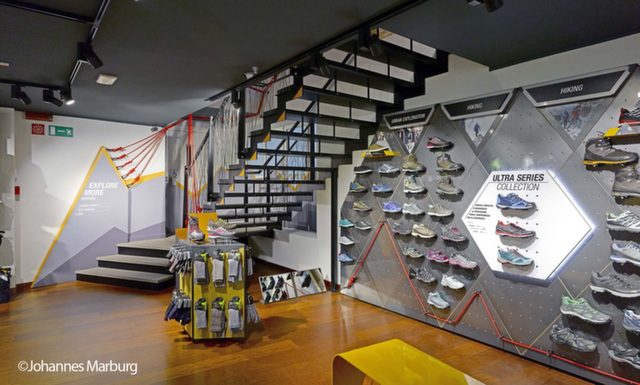 TNF’s Milan flagship is the first iteration of their new global retail definition strategy. We are continuing our work with the brand to roll-out the strategy across the brands’ estate and retail touchpoints. "At a time where we believe elevating the in-store consumer experience is an absolute must do for brand differentiation and consumer loyalty, the work that Green Room has done in our Milan store is future defining for The North Face. It has crystallized in one place an improvement path for our entire fleet of mono-brand stores: stronger brand story-telling, clearer navigation, first steps towards community building and retail digitalization, highlight of key product stories, new hard goods approach and stronger dial-up of colours. A very important step forward for The North Face brand." "We engaged with Green Room to redefine our retail brand experience based upon four key pillars: to tell big stories, to create an immersive brand experience, integrate digital and introduce local connectivity. 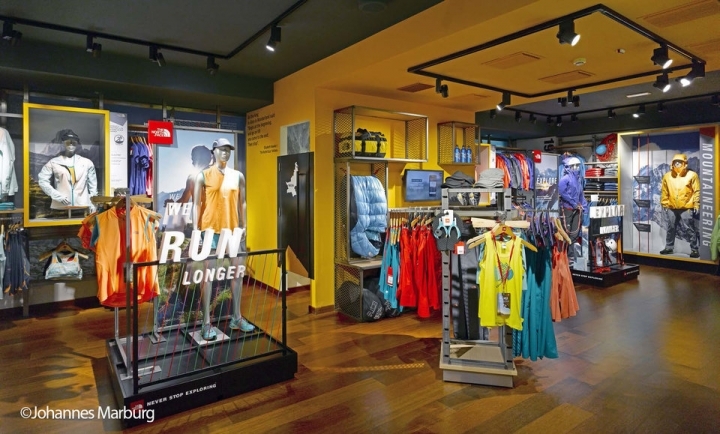 The interaction between internal teams and Green Room for the Milan project gave birth to an advanced outdoor retail concept opening a new meaning of point of sale expression for The North Face."